Johann Zachariah Kiernander, a Swedish Lutheran, who was working as a missionary in the south, he was invited to Bengal by Lord Clive. Following a minute of the Calcutta Council, dated March 24, 1760, a large room near the gateway of the old Fort was fitted up as a Chapel. This was in a house given rent free to Kiernander by the Governor. In 1767 he resolved to purchase ground and build a church at his own expense, and the present church was completed, after many setbacks, in 1770. Kiernander himself called it Beth Tephillah (Hebrew: House of Prayer), but it was known to many as Lal Girja. 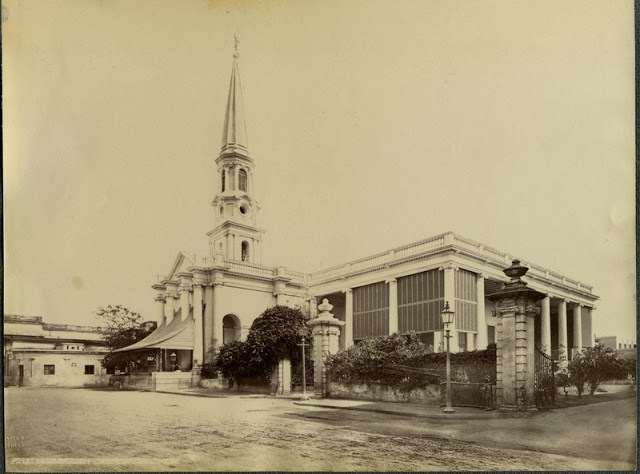 Kiernander’s Mission was the city’s sole Protestant place of worship from 1758 until the completion of St. John’s Church in 1787. Subsequently it became commonly known as the Old Church, or Old Mission Chuch, while St. John’s was often referred to as the New Chuch, or sometimes Pathure Girja, the Stone Church. 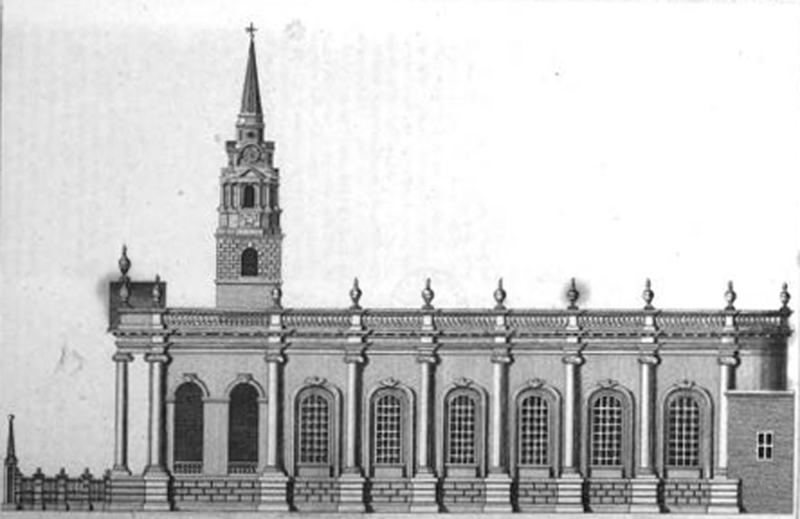 The above elevation drawing is a reproduction of an engraving made by G. Hall in 1774, and is the earliest known illustration of Kiernander’s Church at Calcutta. An original print from 1774 can be found at the National Maritime Museum, Greenwich. Here is a photograph taken by Francis Frith in 1880s shows that even after a century Kiernander’s Mission Chuch looked quite magnificent, being well maintained, extended and restored. J.Z. Kiernander’s great-grandson, George Henry Kiernander, made several large donations, including one for a stained glass window for the new chancel. The Church still exists today on Mission Row with its grand historical past.